Save on Frozen Meats at Rae Of Sunshine Life. 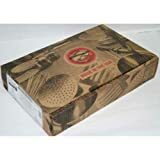 Top brands include Applegate Farms, Tyson, & Chefs Requested. Hurry! Limited time offers. Offers valid only while supplies last. 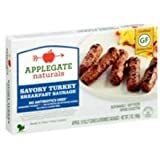 Applegate Farm Natural Savory Turkey Breakfast Sausage, 7 Ounce - 12 per case. 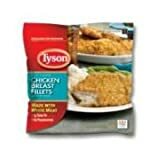 Tyson Breaded Chicken Breast Fillet, 25 Ounce -- 8 per case. Chefs Requested Bacon Wrapped Turkey Filets, 5 Ounce -- 32 per case.